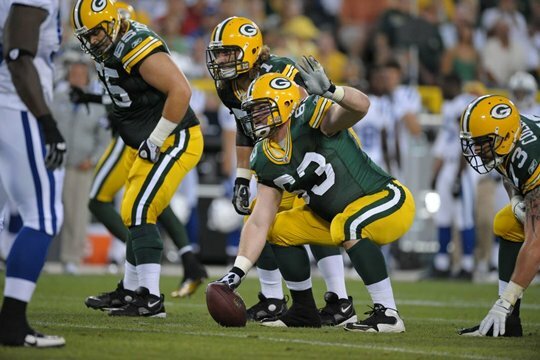 2010 Packers Preview « Roll Out the Quevedo! If you remember back to the early 90’s, the Packers slowly worked their way up the playoff ladder. Divisional game to NFC Championship game to Super Bowl. They took their painful playoff losses and it prepared them for the next time. 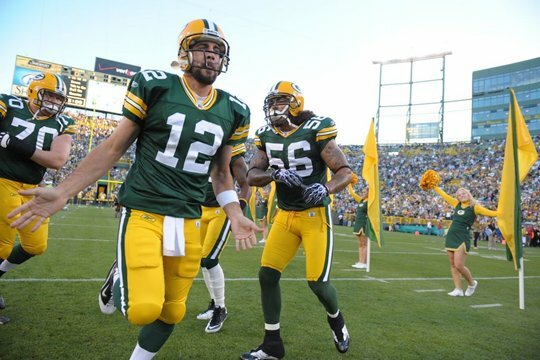 2009 was step one of the playoff ladder for the Aaron Rodgers Packers. Is 2010 the next rung on the ladder, or do they jump all the way to the SB rung? 1) Aaron Rodgers- Of course he’s a sure thing! He’s your steady 12% return on investment. No severe ups and downs in his portfolio. He is in complete control of this offense and all of its parts. It’s no surprise that many NFL writers have picked Rodgers as the 2010 MVP. 2) Charles Woodson- Being a year older will do Woodson no favors, but you can still close off whatever part of the field Woodson is on. His ability to make plays in the running game and off the blitz are what separate him from Revis Island. 3) Jermichael Finley in Honolulu in January. He’s a manchild. There’s gotta be an option route for Finley dependant on who lines up across from him. Corner= jump ball, Safety= anything, Backer= anything to the nth power. 4) The end of the line for Shawn Slocum- I understand the failure to go get someone in the return game is not Slocum’s fault, but we continue to see the Packers give up field position in special teams. What does it say about your special teams when a guy finally takes it the house on a punt return and is cut nine days later. Ouch babe. 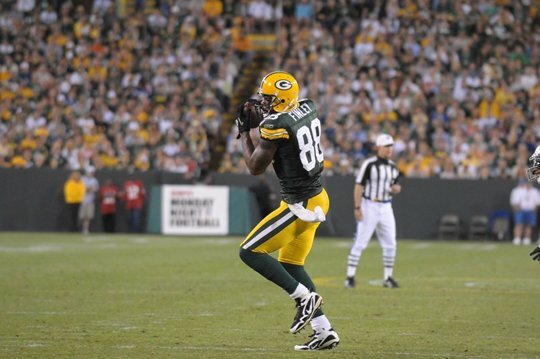 If Greg Jennings is out there on Sunday, I’m going to close my eyes. I would say Slocum’s gone during the bye in week 10, more because of issues in the coverage game. 5) 11 wins- When you look at the 2010 Packers, you look at one thing. Who can outscore them? I see issues against Minnesota, Dallas, Atlanta, and New England. They’ll win some of these and my sure bet is 11-5. I hope they win more, but remember, this schedule is BRUTAL. Can they protect the franchise?? 1) The O-Line- Someone needs to explain to me how Clifton and Tauscher get out of bed in the morning. Seriously, when Tauscher runs out of the tunnel for starting lineups, I always wonder if he’s going to make it. He moves like an 80 year old man. The line was a disaster the first half of last season, and I can’t make them a sure thing for 2010. 2) Al Harris and the rest of the secondary not named Woodson- There’s a lot to be concerned about in the defensive backfield. Even if Harris is back full strength after his stay on the PUP, the thought of Brandon Underwood or “the one who shall not be named” seeing the field at crunch time makes me nauseous. 3) Brandon Jackson- We keep four tight ends, three fullbacks and only two halfbacks. OK? I’ll give you that Jackson has shown flashes of brilliance, but he’s going to be on the field A LOT. I think he’s an above average 3rd down back, but he’s going to be asked at some point this season to be a 1st and 2nd down back. That puts him on the not so sure list. 4) Good field position- Our punter is unproven, our coverage teams can’t live up to their name, and a return is deemed successful in Green Bay if we still have the ball when they blow the whistle. Again, we will only get field position through defensive turnovers. 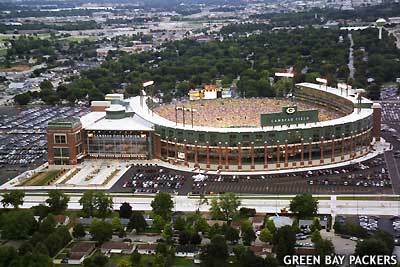 How dangerous would the Packers be with a short field every once in a while? If the playoffs go through Lambeau, we're going to Dallas! 5) A Super Bowl appearance- It’s quite evident over the years that you need home field to get to the SB. Of course, the Giants proved to be the exeption a couple years ago, but that was unexplainable. I remember in 1996 and 1997 that it was a sure thing and everyone believed it. They were the best team. We will find out if the 2010 Packers are the best. Can’t wait to find out.